1. What is Minimum Essential Coverage? 2. What Types of Coverage Qualifies As Minimum Essential Coverage? Coverage under government sponsored programs (e.g. Medicare and Medicaid). Coverage under an "eligible employer-sponsored plan". Coverage under a plan offered in the individual market within a State. 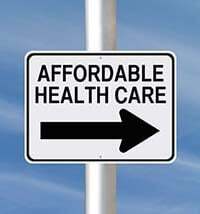 Other coverage, such as coverage under a State risk pool, that the Secretary of Health and Human Services (HHS) chooses to recognize as minimum essential health coverage. Coverage consisting of excepted benefits, such as dental-only coverage. Employer-based coverage that is not offered through an "eligible employer-sponsored plan", such as a Health Reimbursement Arrangement. 3. What Is An "Eligible Employer-Sponsored Plan"? 4. How Does “Minimum Essential Coverage” Differ From “Essential Health Benefits”? Essential health benefits are required to be offered by certain health insurance plans starting in 2014 as a component of the essential health benefit package. They are also the benefits that are subject to the annual and lifetime dollar limit requirements. 5. What Is The Tax Penalty For Failing To Comply With The Individual Mandate? In 2014, the penalty will be $95 per person up to a maximum of three times that amount for a family ($285)* or 1% of household income if greater. In 2015, the penalty will be $325 per person up to a maximum of three times that amount for a family ($975)* or 2% of household income if greater. In 2016, the penalty will be $695 per person per year up to a maximum of three times that amount for a family ($2,085)* or 2.5% of household income if greater. 6. Which Individuals Are Exempt From The Mandate?